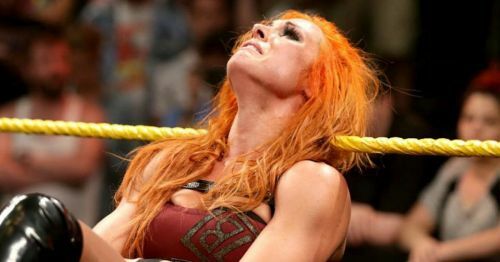 Becky Lynch is a warrior. Becky Lynch's rise from being the Irish Lasskicker to The Man has been exceptionally satisfying to watch. It's an organic narrative that even a creative genius won't be able to script. The first ever SmackDown Women's Champion is on the cusp of being a part of the first-ever WrestleMania main event featuring women. However, there was a time when Lynch never believed she could even get to the level she is currently at, as she went through a testing phase in 2006 after suffering a head injury. She opened about those testing times and her struggles with depression in an exclusive interview with Pro Wrestling Illustrated. Lynch will take on Charlotte at the upcoming Fastlane PPV and if she wins (of course she will), the Royal Rumble winner will be added to the Raw Women's title match at WrestleMania 35 featuring Ronda Rousey and Charlotte Flair. The Raw women's title feud has been the most highlighted storyline heading into 'Mania and the match itself is expected to be the first women's main event in the illustrious history of the Show of Shows. During PWI's Hotseat Q&A session with senior writer Dan Murphy, Lynch opened about the head injury she suffered in 2006 while working a match in Germany that threatened to prematurely end her pro wrestling career. She felt dead at that time and went through a paranoia-infused identity crisis. Special thanks to WrestlingInc for the transcription. "I was Rebecca, the wrestler. And then I wasn't the wrestler, so who the hell was Rebecca? ", revealed Lynch. Her goal was to change the landscape of women and to make people care about her wrestling. She stated, "All of a sudden, I was just lost with no goals, no ambition. I felt like I let everybody down. And I was so ashamed. I just remember pure shame, of not being able to know what I was going to do with myself, not being able to own up to the fact that I wasn't doing it, or that I was confused about it." The collective fear of failure, success and the future pushed her into depression. However, all hope wasn't lost as she would often write about her unfinished business in her daily journal. Her goal was to get into the WWE but she was clueless about the journey. The mere thought of it overwhelmed her. How was she going to do it? Will it even come to fruition? These questions negatively affected her state of mind. Lynch continued. "It was a horrible, harrowing feeling, to not know how to get back there. Luckily, some twist of fate or divine intervention - I don't know what you want to call it - just brought me back to what I feel is my calling, my destiny, if you believe in those kinds of things. And here we are." Here we are indeed! It's surprising to think that she only wrestled thrice for six years until she was eventually picked up by the WWE in 2012. From almost giving up on her aspirations to being one match away from realising a dream of main eventing the biggest sports entertainment spectacle on earth; Becky Lynch is The Man! She will take on Charlotte at WWE Fastlane 2019 on March 10th, 2019 at the Quicken Loans Arena in Cleveland, Ohio.